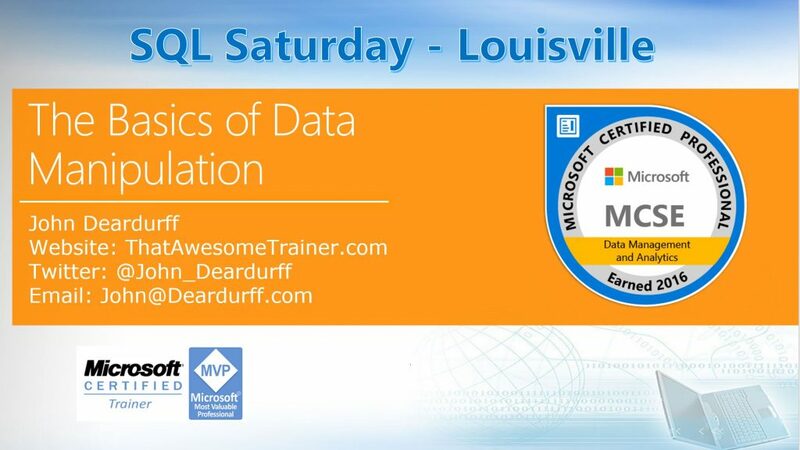 I will be speaking at the SQL Saturday in Lousiville on August 5th. I really enjoy this one because it is only two hours away. For those attending, here is a copy of my presentation. Be the first to comment on "SQL Saturday – Louisville 2017"